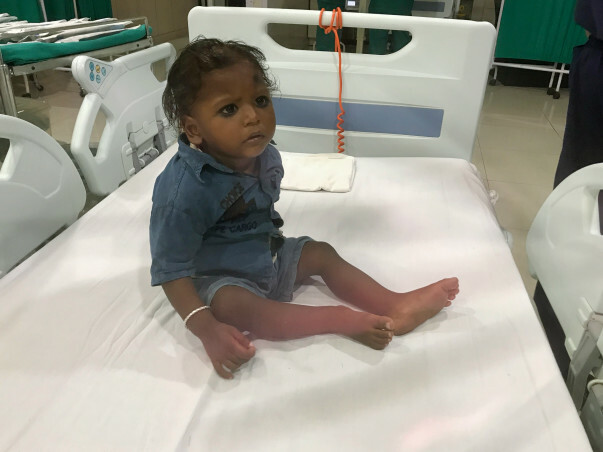 18-month old baby Mohit was diagnosed with a fatal heart condition soon after his birth. He has already undergone a surgery, but recently his condition has deteriorated again. 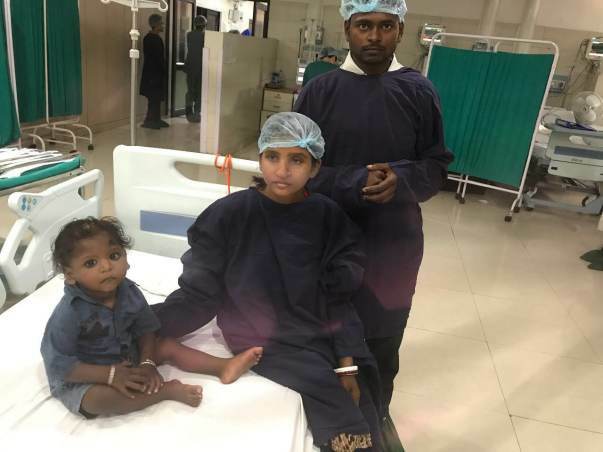 His father, a daily wage worker does not have the means to afford a life-saving surgery for the baby. Baby Mohit developed a fever a week after he was born. "My baby developed a fever right after his birth. He just would not stop crying. I was worried, but could not even imagine that he had a threat to his life," Mohit's father Ratan recollects. For Ratan, the joy of becoming a father did not last too long. Soon after he the fever, baby Mohit was diagnosed with a fatal heart condition. Since the diagnosis, the young father has been running around from hospital to hospital looking for a way to save his son. The baby has already undergone one surgery. "All parents try to save their children from even the slightest of pain. I had to watch my baby covered in tubes and needles, but kept believing this would save his life." 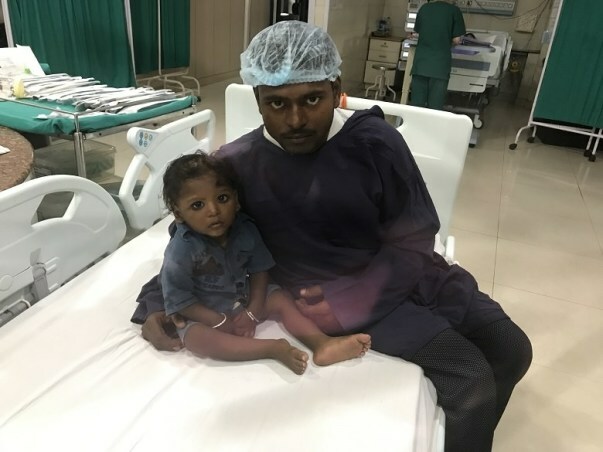 Little Mohit underwent a surgery when he was 9-months-old. Although the little ones condition improved a lot after this surgery, the effect is now slowly waning away. 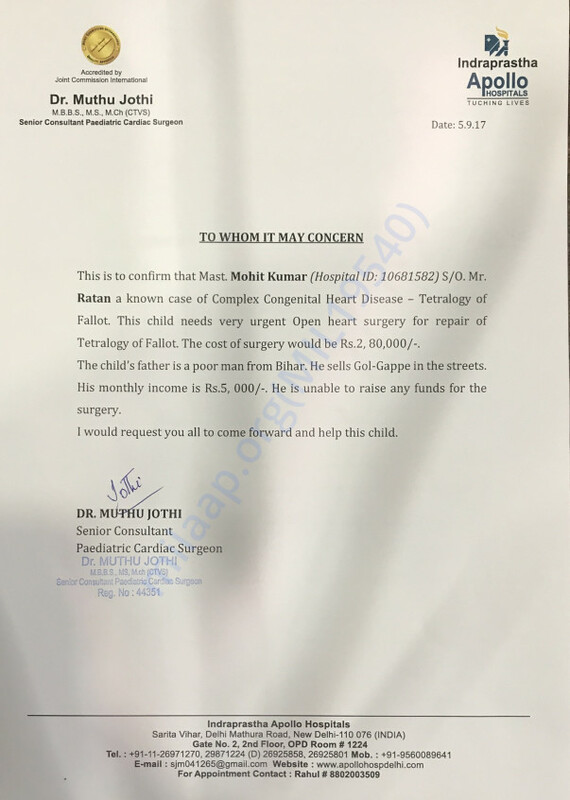 Baby Mohit needs another surgery now. 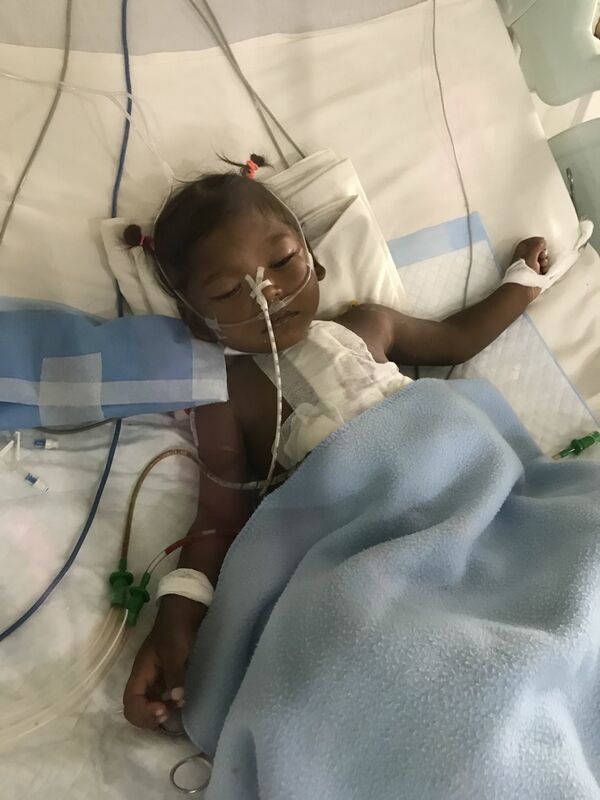 The baby's condition is worse now than ever, and the little one cannot even breathe. His heart is unable to function with the low level of oxygen. Baby Mohit is literally fighting death every minute, but has great chances of recovery post an urgent surgery. Ratan makes Rs. 200-300 a day, which is entirely spent on Mohit's medicines. He has already borrowed from every person he knows for the previous surgery. Now, he has no way to afford this life-saving surgery. With our help, baby Mohit can still undergo the surgery within a week. Your contribution can help this daily-wage-earner save his baby's life. Mohit underwent the surgery on 12.9.2017. He is presently off the breathing machine and very stable.